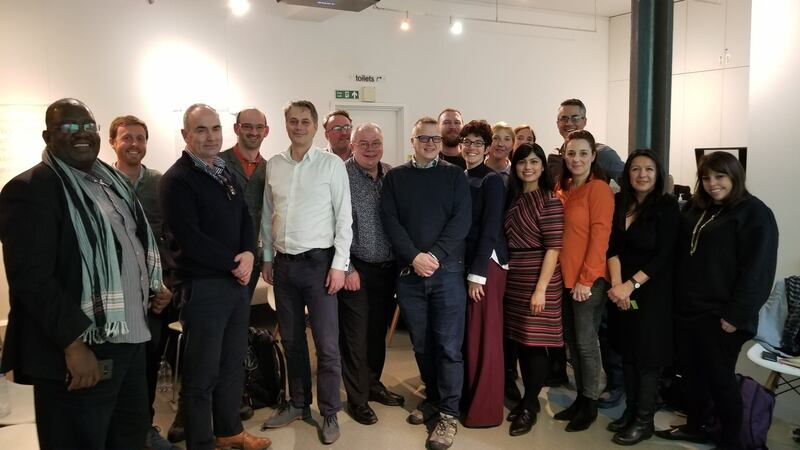 While in London, Sears also launched the UK edition of the Business of Architecture podcast in collaboration with UK-based architect Rion Willard. The podcast launch event featured a panel discussion by UK architects Julia Barfield, co-founder of Marks Barfield Architects and designer of the iconic London Eye; Carl Turner, founder of Carl Turner Architects; Chris Bryant, co-founder Alma-nac; Chris Wilkinson, co-founder Jo Cowen Architects; and Johan Taft, the “navy seal” of business mentors. Over 200 designers and chartered architects attended to celebrate the launch of the podcast and hear the panel discussion. “I had two main takeaways from visiting my cousins across the pond,” Sears said. “First off, architects in the UK are hungry to win at the game of business, just like they are in the USA, Australia, New Zealand, and other areas of the world. Second, the skills and services of architects continue to be in high demand, but the architects who win are those who are tenacious about succeeding.” Tenacity, he said, is a trait shared by each of the architects who took part in the panel discussion; each emphasized that this was key to their success. The Architect Marketing Institute provides tools and resources to help design firms increase their success through effective marketing and sales processes by giving firms around the world access to unprecedented support and success in a competitive market. More information at archmarketing.org. Photo caption: BRITISH ARCHITECTS GET IN ON THE MARKETING FUN. The Architect Marketing Institute’s CEO Enoch Sears (back row, far right) was in London recently for a one-day architecture firm marketing class, plus a panel discussion for the kickoff of the UK edition of the Business of Architecture podcast, which Sears also founded, in collaboration with UK-based architect Rion Willard.